XPO is a top ten global provider of transportation and logistics services, with a highly integrated network of people, technology and physical assets. We use our network to help customers manage their goods most efficiently throughout their supply chains. 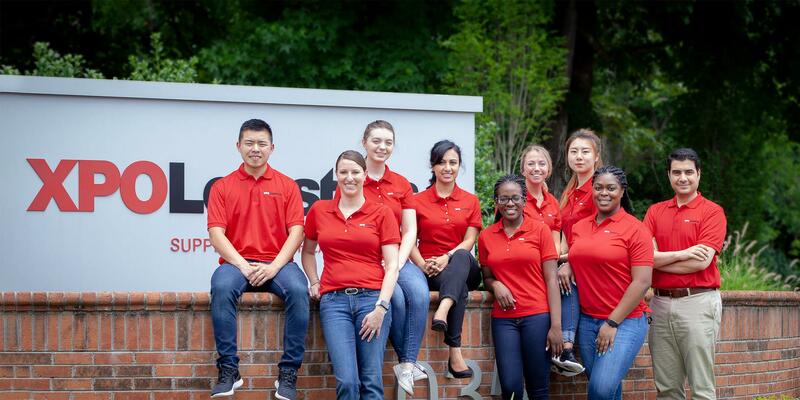 At the top of our value proposition is an intense customer service culture that connects our team worldwide. Our people focus on finding new ways to help our customers succeed, while becoming continuously more efficient ourselves. Customer relationships are the lifeblood of our business. However, we never forget that our company has responsibilities to many other stakeholders as well: investors, employees, carriers, business partners, local communities and global society. When we say Results Matter®, we’re speaking directly to all XPO stakeholders about the results that matter to them. We put safety first – for each other, our communities and our environment. We do things the right way, the first time. Our workplaces are collaborative and supportive. We take care of each other and we constantly seek to improve the safety of our operations, from trucks and docks to warehouses and datacenters. We listen. We’re leaders in creating new markets, spotting unnoticed opportunities and discovering smart ways to tackle challenges because we listen to our employees, our partners and our customers. We pull together to reimagine how business gets done. Respect for each other’s individual strengths drives this collaboration. We approach challenges by asking, 'What if?' We’re boldly optimistic about reinventing industries and shaping the future of how business can meet customer needs. We embrace change. That’s how we discover original ways to solve challenges and create wins for our customers and their customers. We're curious. We push boundaries through game-changing ideas – the kind of advances no one else thinks are possible. We have the passion to invest in pioneering technologies that will help our customers come out on top. We take pride in making our workplaces respectful and inclusive. By welcoming women, people of color, LGBT individuals and those who are differently abled, we create a diversity of talents and perspectives. We stand for integrity, celebrate individuality and know we can always learn more from each other, our customers and the communities we serve. Bradley Jacobs is a career CEO with a unique track record in the business world. He started five companies from scratch and built each into a billion or multi-billion dollar enterprise. These include three publicly traded companies: XPO Logistics, United Rentals (NYSE: URI), which he co-founded in 1997, and United Waste Systems, founded in 1989. Mr. Jacobs served as chairman and chief executive officer of United Rentals for the company's first six years, and as executive chairman for an additional four years. He served eight years as chairman and chief executive officer of United Waste Systems. Previously, Mr. Jacobs founded Hamilton Resources (UK) Ltd. and served as its chairman and chief operating officer. This followed the co-founding of his first venture, Amerex Oil Associates, Inc., where he was chief executive. Troy Cooper serves as president of XPO’s global organization. With senior positions in operations and finance, he has been instrumental. He formerly served as XPO’s chief operating officer from 2014 to 2018, and as the transportation segment leader. From 2015 to 2017, he also served as chief executive of XPO Logistics Europe, and he remains a member of the European supervisory board. Prior to joining XPO in 2011, he held senior management roles with two public companies, United Rentals, Inc. and United Waste Systems, Inc. For United Rentals, he helped to integrate over 200 acquisitions in the United States, Canada and Mexico. For United Waste Systems, he worked with Mr. Jacobs to build an integrated organization of 86 collection companies and 119 facilities in 25 states. Earlier, he worked in public accounting with Arthur Andersen and Co.
Luis‐Angel Gomez Izaguirre leads the transport business operations of XPO Logistics in Europe. He previously served in a similar role with Norbert Dentressangle SA, which he joined in 2007, and was a member of the company’s executive board. Mr. Gomez Izaguirre has 15 years of transportation and carrier management experience. He holds a joint degree in business management and finance. John Mitchell is responsible for the technology services that support XPO's supply chain organization in the Americas and Asia Pacific. He joined XPO from New Breed Logistics upon its acquisition by XPO in 2014. Mr. Mitchell has extensive experience leading high-performance IT teams in growth-oriented companies. His more than three decades of senior experience include nine years with Fortune 50 retailer Lowe’s, where he was instrumental in managing the IT support infrastructure for North American store operations, merchandising and enterprise solutions during periods of rapid growth. More recently, Mr. Mitchell served as chief information officer with The Pep Boys automotive service chain, where he led the team that implemented a fully integrated customer information system for more than 800 locations, and developed next-generation work order applications. He holds a degree in computer information systems from the University of Charleston, West Virginia. Jacopo Mazzolin has executive oversight of the human resources organization of XPO Logistics Europe and provides strategic support to its country leaders. Jacopo Mazzolin has held senior positions in human resources for over 20 years, with an emphasis on international business environments in the distribution and industrial sectors. Prior to XPO, he served in executive roles with the Walgreens Boots Alliance (UK) pharmaceutical wholesale division, Datalogic (Italy) and Crown Holdings (Switzerland). He holds a master's degree with honors from Ca'Foscari University of Venice, Italy. Patrick Oestreich leads the strategic account management organization of XPO Logistics Europe, with responsibility for the company’s relationships with large, multinational customers. Mr. Oestreich joined XPO following 11 years with global logistics company DB Schenker, most recently as senior vice president, road brokerage (full truckload and less-than-truckload) in Europe. Earlier, he served as vice president, business development and customer solutions–land transport in Europe, and directed the key account management of two verticals: the consumer market in Europe, the Middle East and Africa, and the healthcare market in Europe. Mr. Oestreich holds degrees in business administration from The Open University in the United Kingdom, HZ University of Applied Sciences in the Netherlands and Berufsakademie Stuttgart (DHBW) in Germany. Maneet Singh is responsible for the company’s shared services technology infrastructure. Mr. Singh has more than a decade of executive experience in transforming large IT organizations to increase corporate and commercial productivity, reduce costs and enhance revenue growth. His global strategies have led to enterprise-wide adoption of best practices, driving continuous improvement in national and multinational corporations. Prior to XPO, Mr. Singh most recently led the business systems transformation and integration organization for Harris Corporation. Earlier, he served in senior positions for over nine years. With Emerson Electric Company, including director of corporate IT and enterprise applications, and director of supply chain applications. He holds a master's degree in business from the Olin Business School at Washington University in St. Louis, and a bachelor's degree in technology, metallurgy and materials sciences from the Indian Institute of Technology in Bombay. Ravi Tulsyan is responsible for all treasury activities of the company's global organization. Mr. Tulsyan is a seasoned finance executive with deep experience in corporate finance and capital structure, cash management, financial risk management, international finance, financial planning and analysis, and oversight of insurance and pension activities. Prior to XPO, Mr. Tulsyan served in senior positions with global companies, including treasurer for ADT Corporation; assistant treasurer–capital markets, and head of corporate financial planning and analysis, for Tyco; senior treasury manager for PepsiCo; and manager–derivatives strategy and trading for Xerox Corporation. He holds a master’s degree in finance from the University of Rochester; a master’s degree in mechanical engineering from Ohio State University; and a bachelor’s degree in mechanical engineering from the Indian Institute of Technology, Chennai. 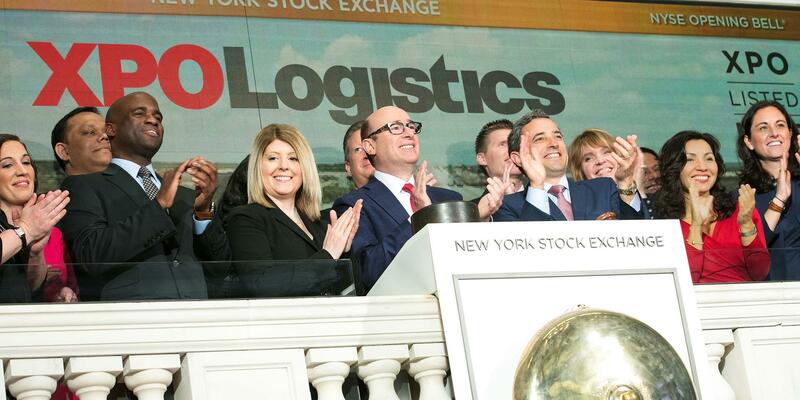 Daniel Walsh leads XPO’s last mile logistics business in the United States and Canada. Mr. Walsh joined the company in 2018, having most recently served as president of IFCO Systems North America, a division of Brambles Limited, an international supply chain logistics provider operating in 60 countries. Over his two-decade tenure with Brambles, Mr. Walsh held positions of increasing executive responsibility, including senior leadership roles in corporate management, sales and operations in North America, Asia Pacific and EMEA. Mr. Walsh completed the senior executive program at London Business School and holds a master’s degree in business administration from the Australia Graduate School of Management, as well as a master’s degree in political science from the Australian National University. AnnaMaria DeSalva currently serves as senior advisor to the chief executive officer and senior management team of E.I. du Pont de Nemours & Company (DuPont), following her role as DuPont’s chief communications officer. Previously, Ms. DeSalva served as head of corporate affairs for biopharmaceutical innovation at Pfizer; was an advisor to the U.S. Food and Drug Administration; and led the global healthcare practice of Hill & Knowlton. For Bristol-Myers Squibb, she led global public affairs for the oncology business and served as the director of the Bristol-Myers Squibb Foundation. Ms. DeSalva is a member of the board of governors of Argonne National Laboratory of the U.S. Department of Energy, and is a member of its compensation and nominating committees; as well as the boards of directors of the non-profit Project Sunshine and the William & Mary Alumni Association. She is a graduate of The College of William & Mary in Williamsburg, Va.; and has completed the Harvard School of Public Health’s executive education program in risk communication, and the Advanced Health Leadership Program jointly offered by the University of California at Berkeley and Pompeu University in Barcelona, Spain. Gena Ashe is the former senior vice president, chief legal officer and corporate secretary of Adtalem Global Education. Previously, Ms. Ashe held senior legal roles with The Brickman Group, Ltd. (now BrightView Landscapes, LLC), Catalina Marketing Corporation, Public Broadcasting Service (PBS), Darden Restaurants, Inc., Lucent Technologies, Inc. and AT&T. Earlier, she was an electrical engineer with IBM Corporation before joining IBM’s legal team. Ms. Ashe holds a bachelor’s degree in mathematics and physics from Spelman College, a master’s degree in electrical engineering from Georgia Institute of Technology, and a doctor of law degree from Georgetown University. She is a graduate of the executive development program of the Wharton School of the University of Pennsylvania, and holds a certificate in international management from Oxford University in England. Marlene Colucci has served as the executive director of The Business Council in Washington, D.C. since 2013. She previously was executive vice president of public policy for the American Hotel & Lodging Association for eight years, where she provided guidance on regulatory matters. From 2003 to 2005, she served in the White House as special assistant to President George W. Bush in the Office of Domestic Policy. In this role, she developed labor, transportation and postal reform policies and advised the president and his staff on related matters. Earlier, Ms. Colucci served as deputy assistant secretary with the U.S. Department of Labor’s Office of Congressional and Intergovernmental Affairs. Her law career includes more than 12 years with the firm of Akin Gump Strauss Hauer & Feld LLP, where she served as senior counsel. She holds a juris doctor degree from the Georgetown University Law Center. Mr. Jesselson has served as a director of the company since September 2, 2011, and as lead independent director since March 20, 2016. He has served as president and chief executive officer of Jesselson Capital Corporation since 1994. Earlier, Mr. Jesselson worked at Philipp Brothers and at its division, Salomon Brothers Inc. He is a director of C-III Capital Partners LLC, Clarity Capital, Cerespir, Playfusion and other private companies, as well as numerous philanthropic organizations. He is a trustee of the Israel Philharmonic Orchestra in Tel Aviv and the Museum of Arts and Design in New York, a member of the Photography Committee of the Museum of Modern Art (MoMA), and chairman of Bar Ilan University in Israel. Adrian Kingshott is the chief executive officer of AdSon LLC, and senior advisor to Headwaters Merchant Bank. Previously, with Goldman Sachs, he served as co-head of the firm's Leveraged Finance business, among other positions. More recently, Mr. Kingshott was a managing director of Amaranth Advisors, LLC. He is an adjunct professor of Global Capital Markets and Investments at Fordham University's Gabelli School of Business. He holds a master of business administration degree from Harvard Business School and a master of jurisprudence degree from Oxford University. Mr. Kingshott is a member of the board of directors of Centre Lane Investment Corp.
Jason Papastavrou, Ph.D., is the founder and chief investment officer of ARIS Capital Management, LLC, and is the co-founder of Empiric Asset Management, LLC. Previously, Dr. Papastavrou was the founder and managing director of the Fund of Hedge Funds Strategies Group of Banc of America Capital Management (BACAP); president of BACAP Alternative Advisors; and a senior portfolio manager with Deutsche Asset Management. He was a tenured professor at Purdue University School of Industrial Engineering, and holds a doctorate in electrical engineering and computer science from the Massachusetts Institute of Technology. Dr. Papastavrou serves on the board of directors of United Rentals, Inc.
Oren Shaffer was most recently vice chairman and chief financial officer of Qwest Communications International, Inc. (now CenturyLink, Inc.). Previously, Mr. Shaffer was president and chief operating officer of Sorrento Networks, Inc.; executive vice president and chief financial officer of Ameritech Corporation; and held senior executive positions with Goodyear Tire & Rubber Company, where he also served on the board of directors. Mr. Shaffer is a director on the boards of Terex Corporation (NYSE: TEX); Belgacom S.A. (BCOM.BR); and Intermec, Inc. (NYSE: IN); and serves on the supervisory board of Demag Cranes AG (Xetra: D9C GR). He holds a master's degree in management from the Sloan School of Management, Massachusetts Institute of Technology, and a degree in finance and business administration from the University of California, Berkeley. XPO’s safety culture prioritizes the well-being of our employees and our customers. One of our main objectives is to achieve zero job-related injuries and accidents. 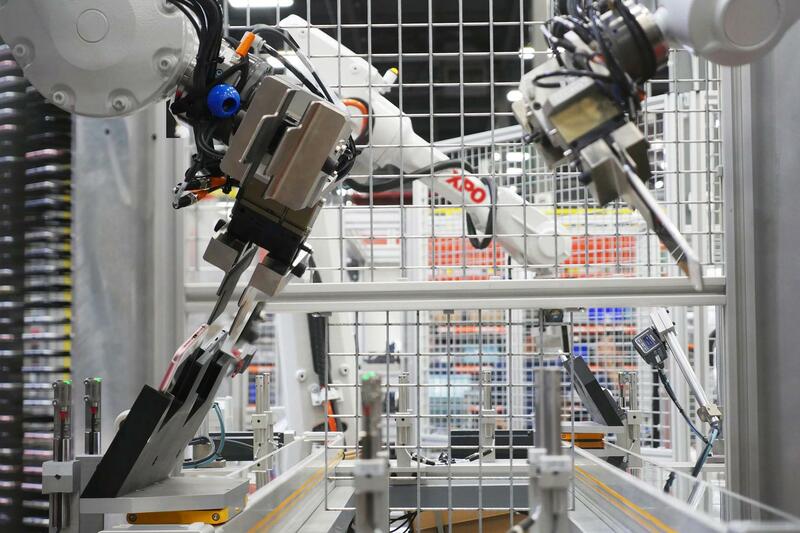 We use training and technology to continuously improve our safety ecosystem, and we have XPO safety professionals positioned across our operating regions. Our commitment to safe practices is evident in our global Road to Zero initiative and in the strict compliance measures that guide our operations. As a result, we achieve recordable rates that are below industry averages for accidents and OSHA incidents. Our safety team is available to assist customers with programs that can reduce cargo damage, improve security and enhance worker safety. We also offer online safety training for owner-operators in our motor carrier networks. 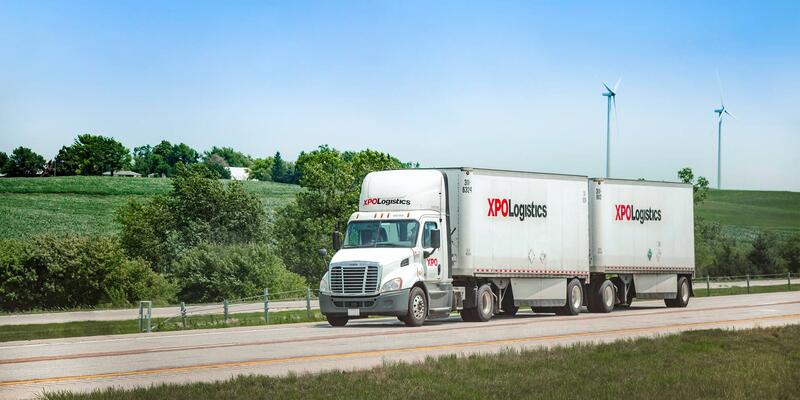 XPO’s insurance coverage is current, with a renewal date of October 1, 2019. If you have any questions regarding our insurance, please email us here. If you need to request a certificate of insurance, please complete this form. Verify here for XPO Cartage, Inc. – DOT# 50342, formerly Pacer Cartage, Inc.
Verify here for XPO Port Services, Inc. – DOT# 465087, formerly Intermodal Container Services, Inc., dba Harbor Rail Transport, Inc.
Verify here for XPO Express, Inc. – DOT # 460019, formerly Express-1, Inc.
At XPO, we take pride in having a culture that welcomes women, people of color, LGBT individuals and those who are differently abled. In this way, we create respectful workplaces with a diversity of talents and perspectives. Together with our employees, we're moving forward on gender equity through progressive workplace initiatives, active recruiting of women in all roles and internal promotions. Our female executives, board members and managers serve as role models in our organization. Many have received industry recognitions for their accomplishments. We believe it’s imperative that our company reflects the diverse makeup of the customers and communities we serve. 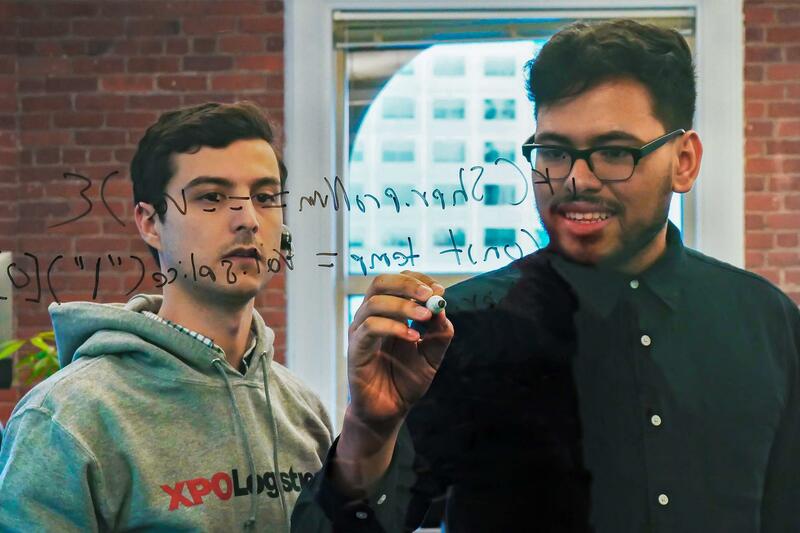 Our focus on diversity is evident in our Values and our Code of Business Ethics, which specifically define XPO as being respectful and non-discriminatory. Our commitment, however, goes beyond just saying the right things. It’s about doing the right things. Results will always matter to us, and they matter the most when they come from behavior that is fair, respectful, lawful and honest. Beyond our operations, our company is a strong proponent of supplier diversity. We make contracting and procurement opportunities available to businesses owned by women, minorities, veterans and members of the LGBT community, as well as those owned by, or operated in support of, differently abled individuals. In addition, we support supplier initiatives that are important to their organizations and reflect our values. We operate our business in a manner that demonstrates a high regard for the environment and the interests of our stakeholders. Sustainability is part of our blueprint for managing risk and reducing our carbon footprint. Our approach to sustainability – and, in fact, to all areas of the company – is one of continuous improvement based on innovation. We promote sustainability in our operations and corporate infrastructure for two reasons. First, it’s good business and the right thing to do. And second, it’s important to many of our stakeholders that we participate in the transition to a low-carbon economy. We collaborate with customers to create action plans that reduce emissions related to their supply chains through technology-enabled route optimization, load consolidation and process automation.